Republican Congressman Jim Jordan is absolutely livid that Democrats are trying to investigate voter suppression in states across the country, and he sent an angry letter to the House Oversight and Reform Committee to let them know it. Jordan says that the committee is overstepping their boundaries, when in reality they ARE in charge of making sure that states aren’t screwing around and suppressing votes. Ring of Fire’s Farron Cousins discusses this. For the past few months, Democrats only house oversight and reform committee had been looking into voter suppression taking place across the country, specifically the voter suppression that took place in the 2018 midterms. And they’re looking at places like Texas and Georgia were some of the biggest voter suppression tactics emerged. And so what they’ve done is they’ve sent letters in the last couple months to the leadership of those states asking them for information. You know, that’s all they wanted was information they want to know in Georgia. How did you run your election? Give us the details, send us the documents on this because we want to make sure everything was on the up and up because basically it appears on the surface that Stacey Abrams had that election stolen from her down in Texas. They want to know why they claimed that they had 100,000 noncitizens on their voting role when the math actually showed that they didn’t, but they’re still claiming they had 100,000. So show us your math, show us the documents, let’s see where this is coming from. And, uh, unfortunately though they’ve got Jim Jordan also on that committee and Jim Jordan doesn’t want the Democrats to investigate voter suppression. And so Jim Jordan sent a letter to Elijah Cummings, chairman of that committee, and he said, no, hold your horses, Elijah. You’re overstepping your boundaries. You don’t have the authority to do this. You can’t talk to the states. You can’t get this information. 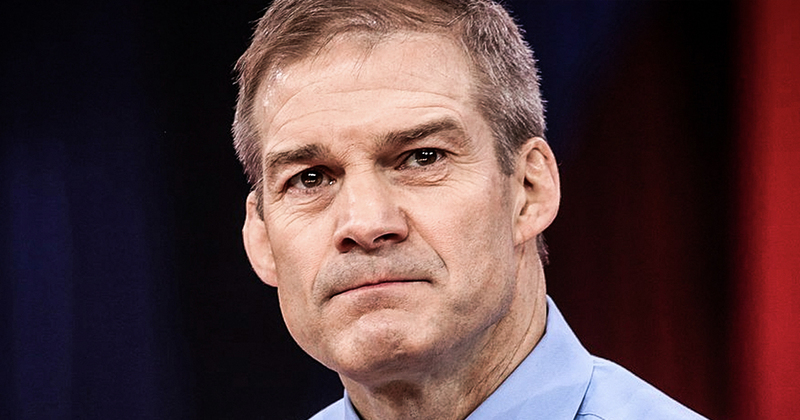 You can’t ask people in Texas and Georgia and Kansas why their elections are so screwed up because that power resides with the states to which the leadership and the House oversight committee told Jim Jordan, maybe you ought to read the constitution bud. Because as it turns out, yes, states do get to set the time she places and manners of elections and then Congress actually has the authority to come in and change whatever the hell they feel like changing if they think it’s unfair. That’s in the constitution. Jim, maybe you should take a little bit of time and, and read it, but your 100% wrong. In fact, under the, uh, amendments 14, 15, 17, 19 and 24, Congress absolutely has the authority to look into voter suppression, to get these documents, to find out how states are running their elections and why they’re making the decisions that they made. And right now that’s the only question they want answered is why did you make these decisions? But even that is too much for a guy like Jim Jordan who is one of the biggest pieces of human garbage sitting in the US House of Representatives today. Okay. Republicans love voter suppression because that is one of the only ways they can win elections because they’re not running on policies because they have any. So all they can do is scare their voters into voting for them. And if they can’t scare enough people, well, Gerrymander your district. And if even that doesn’t work, then hell, we’ll just go in there. We’ll purge people from the voting rolls were disenfranchised people were, we’ll move the one polling station in the district to an area where public transit doesn’t go. So poor people can’t vote, which is what happened in Kansas. And they want answers on that. That would be okay for Jim Jordan. Cause Jim Jordan, like most Republicans lafs voter suppression because that is the only reason his party can ever have power in this country.